Please join us on Thursday, February 7 at 5:00 pm for an evening of an informative movie from the archives of Friday Harbor Film Festival and a creative dinner by Cynthia’s complimenting the film. 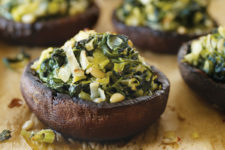 As you learn about the magic of Fungi, you will be served a great assortment of mushroom specialties. 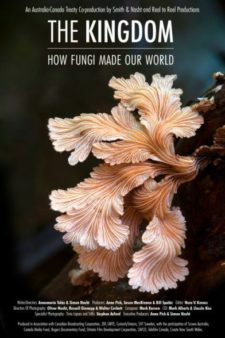 The Movie: The Kingdom: How Fungi Made Our World, Director: Annamaria Talas, Best Film Award, 2018 SCINEMA International Science Film Festival. Since the dawn of life, fungi have been at the very heart of land-based evolution. Neither plants nor animals, fungi are a kingdom in their own right. Their spore-based life form literally ate rocks to kick-start our planet’s ecology, and fungi continue to play a significant role in every breath we take. Additional Wine or Beverages available upon request for an added charge. RESERVE YOUR SPACE NOW – LIMITED SEATING.